Click here to connect to our Facebook Page for latest project pictures and customer reviews! Graham's Superior Hardwood Floors, LLC (GSHF) is a full service hardwood flooring company specializing in the custom installation, sanding & refinishing, and repair of hardwood flooring. Based in Frederick County, Maryland, GSHF focuses on providing the highest quality workmanship to customer accross Maryland, Virgina, West Virginia, and Pennsylvania. 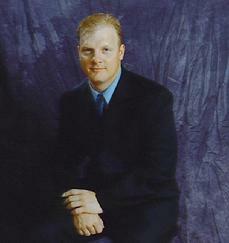 GSHF was founded by Don Graham. Don has 32 years of experience in the hardwood flooring industry, beginning his career as an installer and later learning the specialty of repairing, sanding and finishing for one of the largest flooring companies in Baltimore, Maryland. Don became a crew leader very early in his 10 year career with this company. Don learned how to work closely with the customer and manage multiple projects as well as supervise his crew. 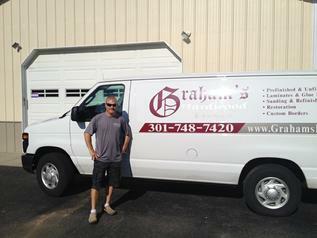 Don changed his focus in 1995 when he started his own business, now known as Graham's Superior Hardwood Floors, LLC. Don's mission was to create a small custom flooring company and provide all of his customers with the highest levels of quality, customer service, and personalization. Over the last 23 years, GSHF has earned its strong reputation by providing attention to detail that is unmatched in the industry. Don has chosen to keep his business small through the years to preserve the highest quality which has become GSHF's trademark. GSHF does very little to advertise, instead, it prides itself on referrals from past customers. We ae a full service hardwood flooring shop at home store. GSHF is committed to preserving the environment and enhancing the quality of life of our customers. Being Green-Friendly is not only a recent movement, but a requirement in today's world. It is our mission to offer our customers the latest in VOC compliant finishes and stains and we are committed to using these products daily. We use water-based finishes on 100% of our jobs which reduces airborne volatile substances. GSHF is committed to providing its customers with the latest selections in Eco-Friendly wood products including Teregran Bamboo, Jolka, and Reclaimed Products. Dust Containment is a major priority for any homeowner. GSHF utilizes different grades of dust containment systems based on customer requirements as well as utilizing barricade methods such as plastic zip walls. GSHF will work with you based on your individual needs and that of your household. Our goal is to leave you with a beautiful floor and not the residual bi-product of the work it took to achieve it.